Before 1854 trade with Japan was confined to a Dutch monopoly and Japanese goods imported into Europe were for the most part confined to porcelain and lacquer ware. But when the 200-year-old Japanese foreign policy of Seclusion ended and trade between Japan and the West opened up, a sort of collection craze of Japanese art began. 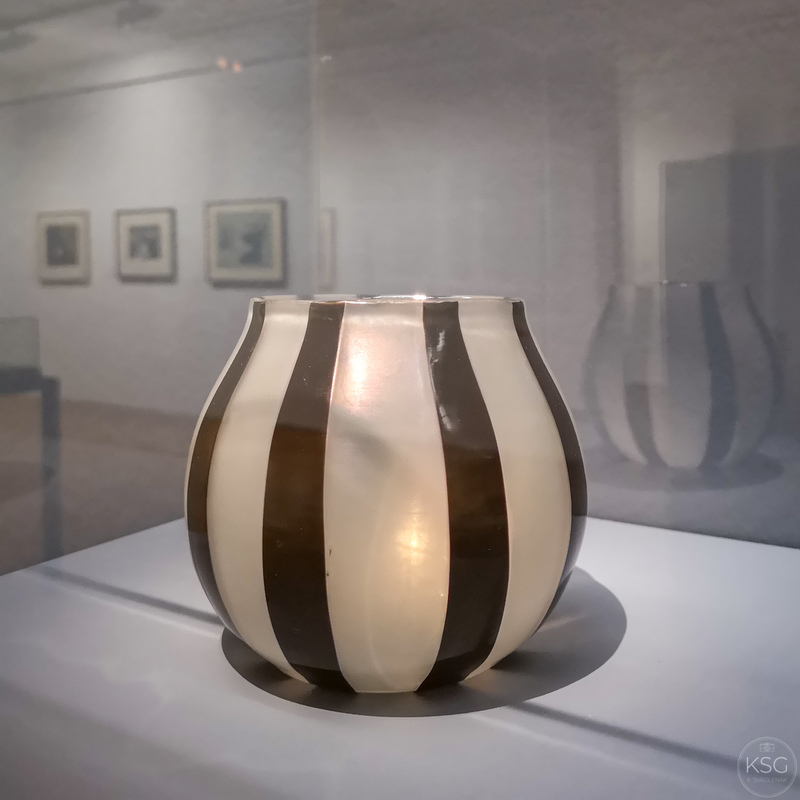 Japanese patterns, wood-block prints, vases, and other decorative items found their way into European household collections, and influenced European painters. Artists including Manet, Degas and Monet, followed by Van Gogh, began to collect the cheap colour wood-block prints called ukiyo-e prints. Japonaiserie (English: Japanesery) was the term the Dutch post-impressionist painter Vincent van Gogh used to express the influence of Japanese art. Launching out from Paris, Japomanie (the Japan craze) spread throughout Europe. In Austria it “infected” people at the Vienna World Fair of 1873. 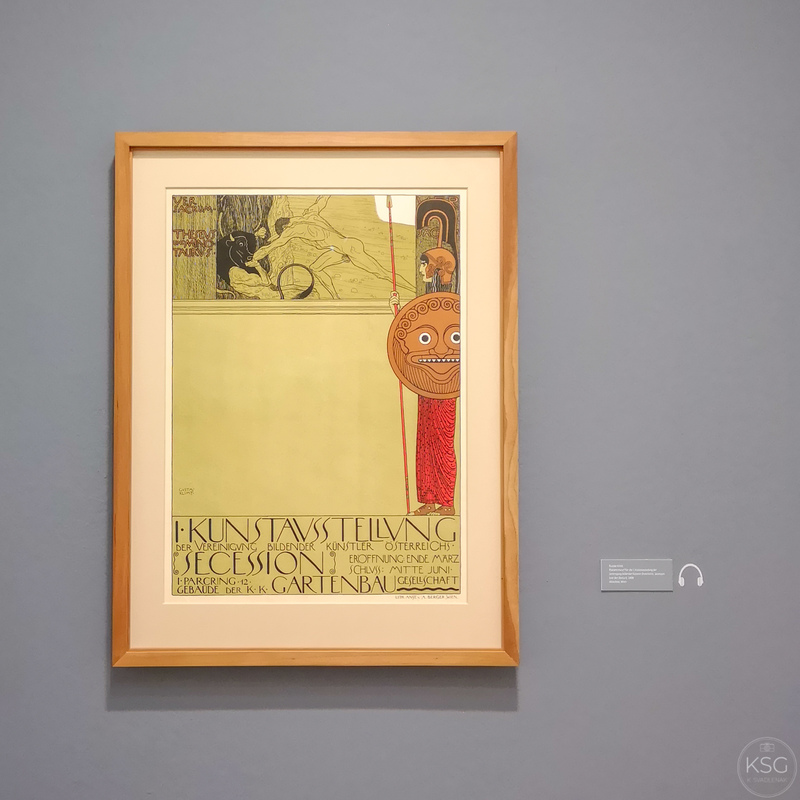 Austrian painters Gustav Klimt and Egon Schiele, and many others, caught the bug and not only collected prints, but also included elements of Japanese art in their own works. 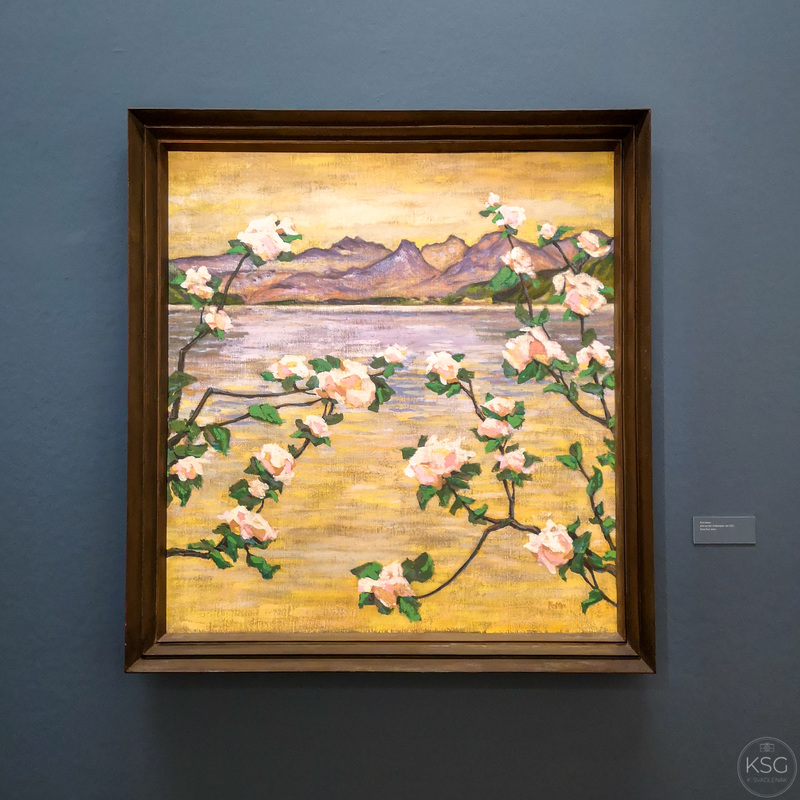 There are just a few days left to see a wonderful and very comprehensive exhibition at the Kunstforum Wien: Fascination Japan – Monet · Van Gogh · Klimt. The title may be a bit misleading, as there are many other artists represented here. 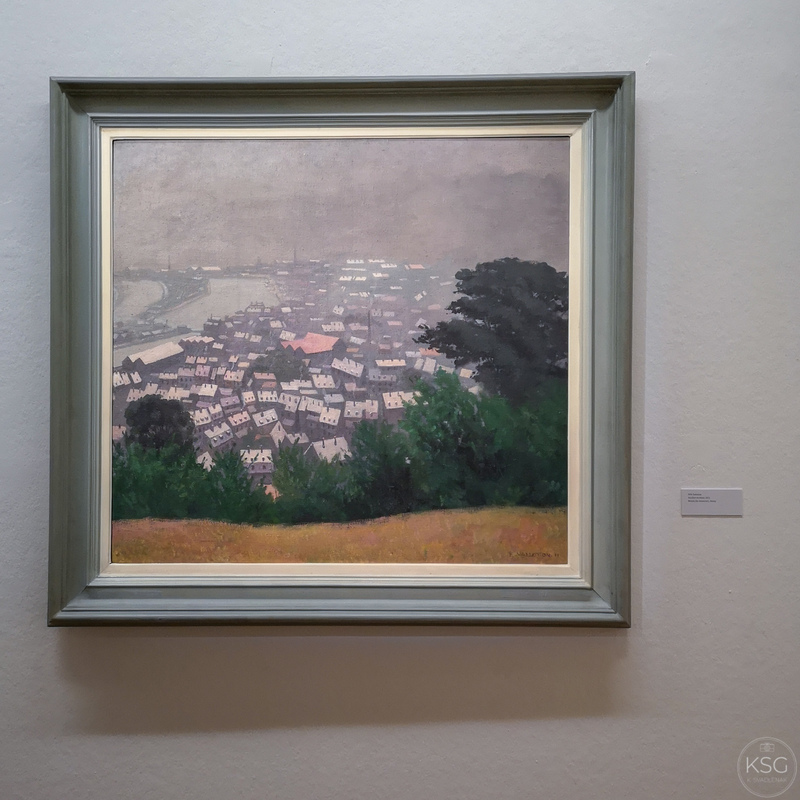 Most paintings shown here are from around the early 1900s, when this theme was so fashionable, but also some modern artists who have created sculptures and installations that reflect on the exhibition´s topic. In this exhibition around a hundred objects (not only paintings and printed graphics, but also fabrics, hair combs, book covers, screens, and furniture) awed me and gave a really good impression of this Japonaiserie phenomenon. Japanese-style end-paper of a book, early 20th c.
I really enjoyed this exhibition a lot, but be aware that it is extensive and needs at least a couple of hours to fully enjoy it. The exhibition closes on 20 January!